I am so easily pleased, you guys. I made goofy happy faces at the box and showed it to everyone in the tack room. 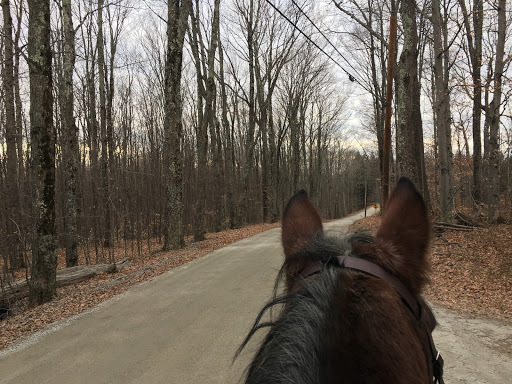 Then, of course, immediately put the saddle pad on Tris for a Sunday afternoon road hack. He picked up a happy big trot and maintained it without any urging. 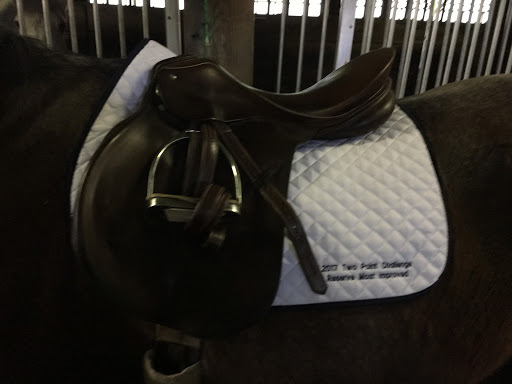 I’m declaring it a magic saddle pad! 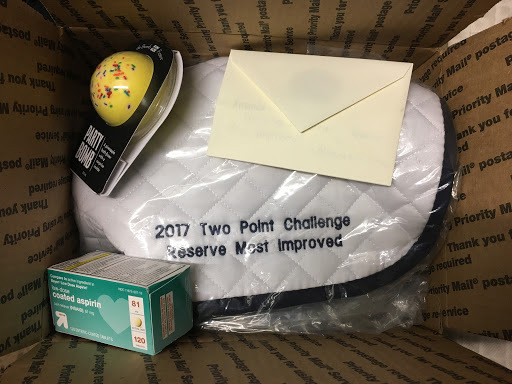 Huge, huge thanks to PONY’TUDE and ‘Fraidy Cat Eventing for hosting the contest this year! Next Post Small Business Saturday Suggestions? OMG the aspirin.That's amazing. What a great win! !